It’s hard to kill a city. Unlike animals, cities do not slow down as they get bigger. They speed up with size! The bigger the city, the faster people walk and the faster they innovate. A review of the Geoffrey West lecture at LongNow. With his latest book Quantum City, architect Ayssar Arida explores the relationships between the history of science, urban design and the concept of the city, light-heartedly but with a very serious aim: to radically change the way the urban realm is both experienced and designed. Ayssar visits BiometricCity on July 21. The Paris main flea market is not in Paris. It is its own universe run by its own laws, with its own cultures, treasures, wonders, risks and dangers. Initial planning of our Biometric Paris explorations. The selected areas range from a single street to the whole of Paris. The two main key notions are “designer as observer” and “urban coding”. The wrapping of European monuments, when they are being renovated, has become a very interesting medium, often spectacularly conceived and sometimes poorly executed. 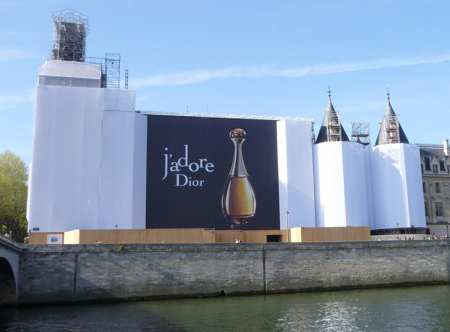 Here is the historic heart of the city (the former royal palace and Marie-Antoinette’s jail) now imprisoned by the Dior brand. Next to it is Le Pont Neuf, which was wrapped by conceptual artist Christo in 1985. La Gaîté Lyrique is the new venue in Paris dedicated to digital arts and new musics. It was launched in the Spring 2011 with a true commitment to innovation in design. Don’t ask what your city can do for you. Ask what you can do for your city.